Colin Kaepernick at the LBJ Library, (all pictures unless otherwise noted are by the author). 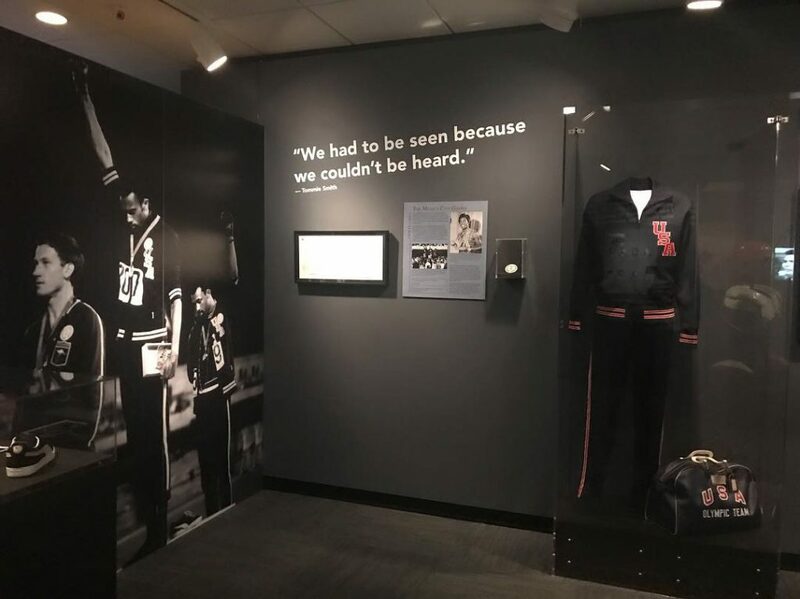 The Lyndon B Johnson Presidential Library opened “Get in the Game,” a timely exhibit on the intersection of social justice and sports, on April 21, 2018. In 2014, a new wave of athlete activism began in the United States. That year, NBA teams donned “I Can’t Breathe” shirts during warm ups to protest the police brutality against Eric Garner. In the summer of 2016, the WNBA joined the conversation with the “Change Starts with Us—Justice & Accountability” and #BlackLivesMatter, #Dallas5, #__ demonstrations by the Minnesota Lynx and New York Liberty. The current moment is most defined, of course, by Colin Kaepernick’s national anthem protests that began in the 2016 NFL preseason. 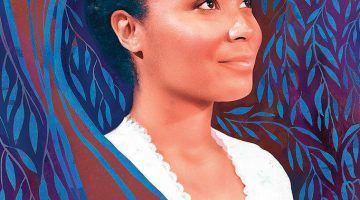 “Get in the Game” charts a legacy of barrier-breaking and justice-seeking athletes from the late 19th century to the present with an emphasis on the current relationship between athlete activism and American politics. 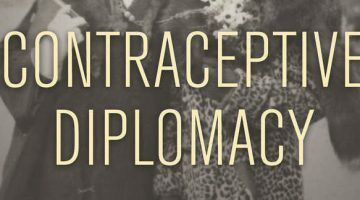 The exhibit is remarkably comprehensive, especially for a small-scale and brief installation (the exhibit closes January 13, 2019). Visitors will find a wide selection of sports represented—horse racing, football, baseball, basketball, track and field, boxing, tennis, golf, and fencing—and attention to gender, race, media, player salaries, and social justice. Guests should be keen to linger in the center room of the exhibition, where curatorial care and intentionality is reflected in an exceedingly well communicated examination of Jackie Robinson’s post-baseball activism and the 1968 Olympic Project for Human Rights. 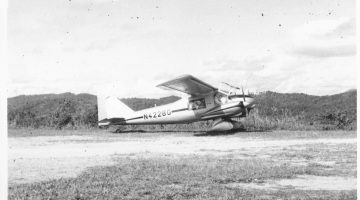 While most Americans are familiar with Jackie Robinson as a figure and the brief details of his early career with the Brooklyn Dodgers, few popular versions of his story reflect on the later years of his baseball career and after he retired. It is not popularly discussed that Robinson was among the crowd at the March on Washington for Jobs and Freedom in 1963, nor that he campaigned for Richard Nixon. Robinson committed much of his time in retirement to activism, working with the NAACP, encouraging other black athletes, and communicating with several politicians. 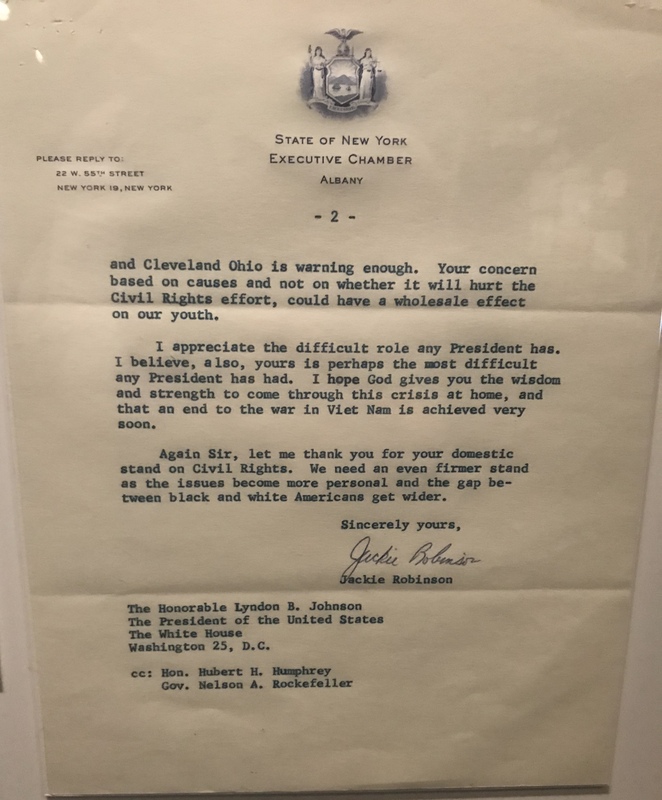 “Get in the Game” features letters and telegrams from Robinson to Presidents Eisenhower, Kennedy, Johnson, and Nixon. 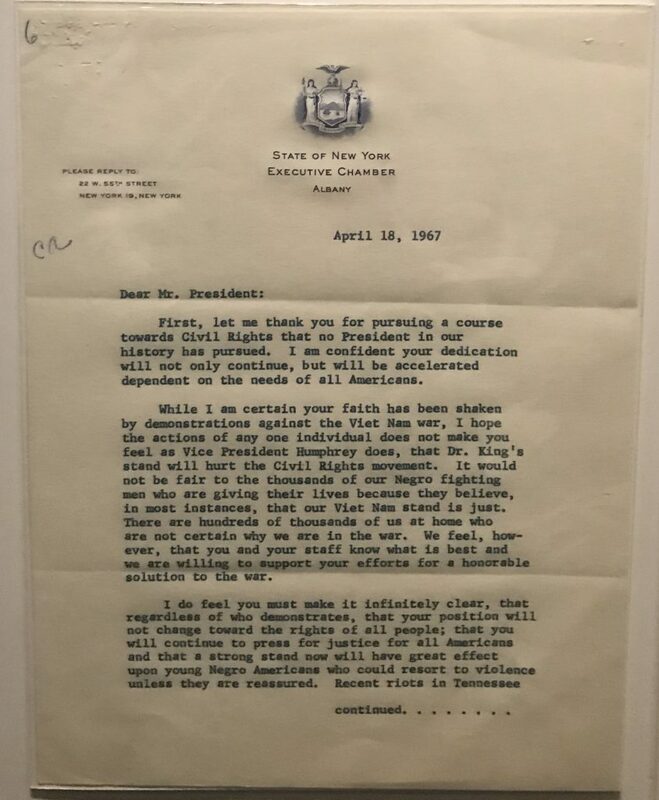 The letters show Robinson’s concern that Civil Rights remain a presidential priority throughout changes in regimes, as well as his concerns about the morality and risks regarding the Vietnam War. Another strength of the exhibition is the number of items on loan or gifted from the Dr. Harry Edwards Archives at the San Jose State University Institute for the Study of Sport, Society and Social Change. 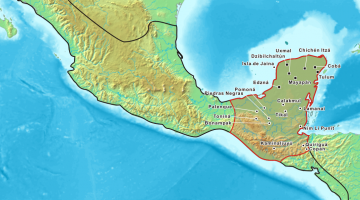 Dr. Edwards led the Olympic Project for Human Rights (OPHR), the group that organized the boycott of the 1968 Mexico City Olympic Games, and continues to work with athletes, including Colin Kaepernick. 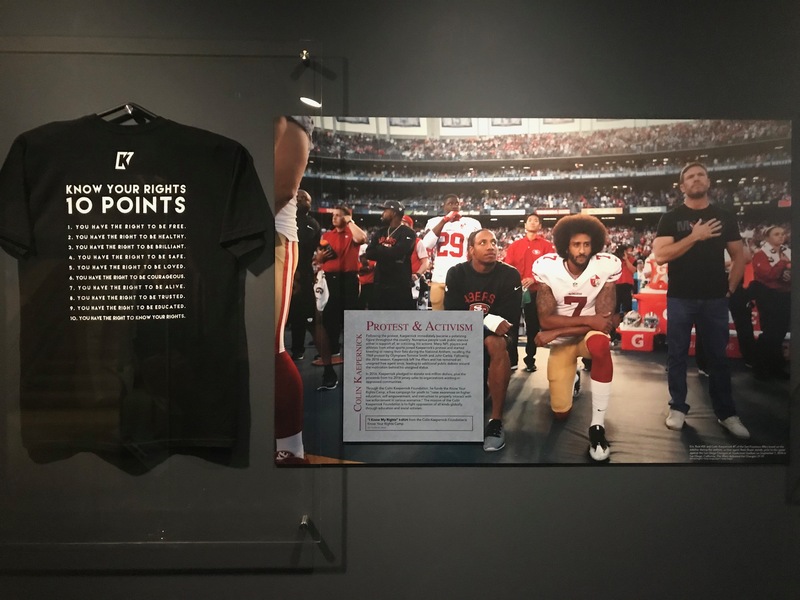 The exhibition focuses not only on Tommie Smith and John Carlos’s iconic anthem protest and its 50th anniversary, but also the support, solidarity, and demands of the OPHR. Though the International Olympic Committee (IOC) met one of the demands of the OPHR, that South Africa and Rhodesia be uninvited to the games, and the boycott was called off, Lew Alcindor (Kareem Abdul-Jabbar) and other basketball players maintained their stance and did not compete at the games. Even for those athletes who did compete, the spirit of the OPHR continued, breeding both solidarity and backlash. 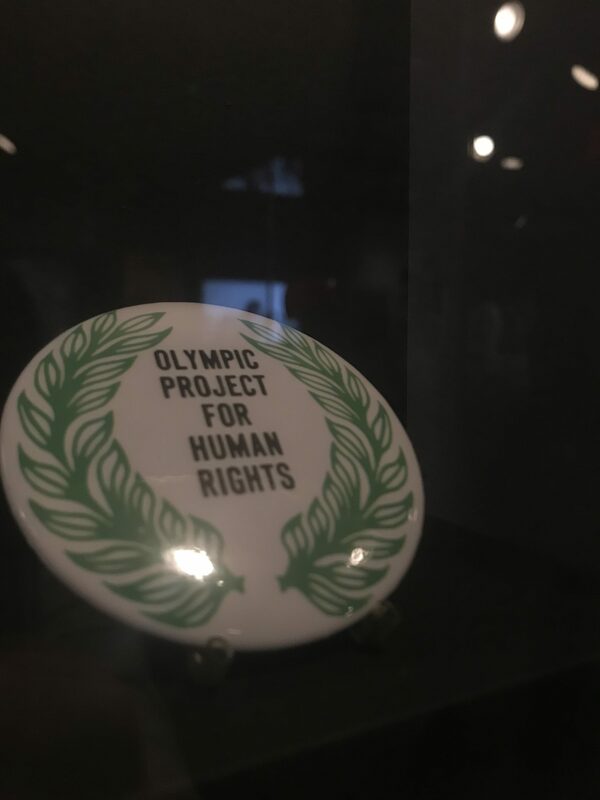 An OPHR button is included in the exhibition, like the ones worn by Smith, Carlos, and the Australian runner Peter Norman who won the silver medal alongside Smith’s gold and Carlos’s bronze. Displayed adjacent to the button is a State Department memo concerned with what to do about the demands from the IOC to remove Smith and Carlos from the Olympic Village, though the athletes ended up leaving on their own, returning to backlash from the press and the public. The exhibition closes with Kaepernick and notes his connection to the 1968 Olympics. 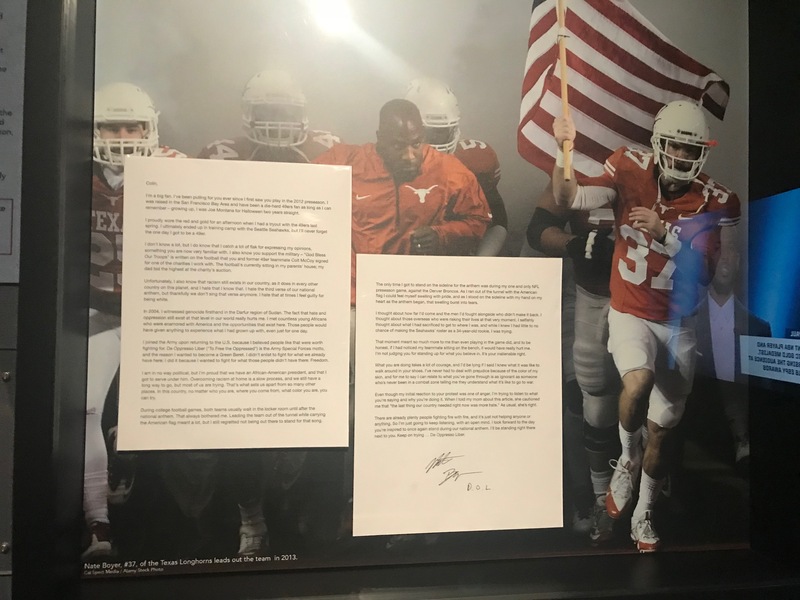 A unique strength of the materials is the inclusion of University of Texas at Austin alumnus Nate Boyer, who worked with Kaepernick to attempt to bridge the divide between his protest and American servicemen and women and their families. Though the decision to omit the autobiography is an easily defendable one—the focus on Robinson is his breaking the color barrier and his correspondence with Presidents—it stands out because of the inclusion of other athletes’ autobiographies and provocative statements. 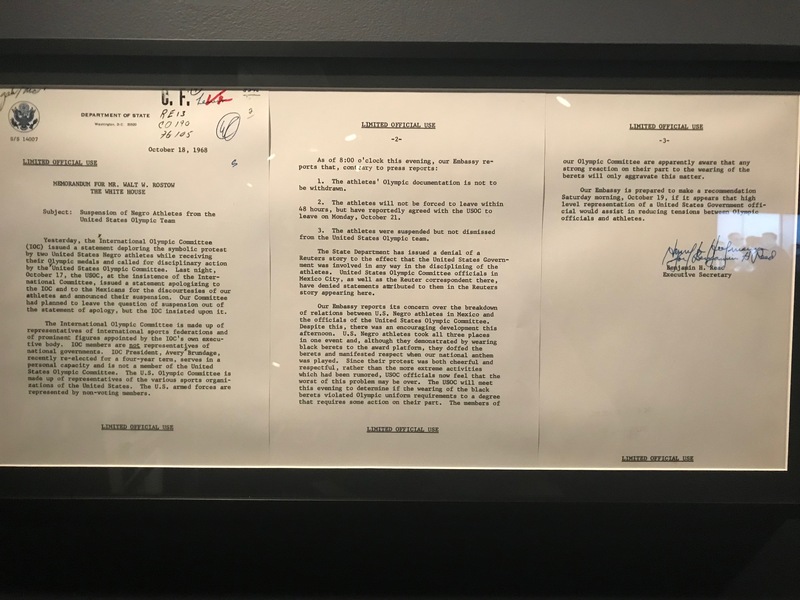 Perhaps more accessible due to the museum’s possession of an inscribed copy owned by LBJ, Bill Russell’s book Go Up For Glory (1966) is included, along with details of his delivery of Muhammad Ali’s refusal to serve in the military.